The Glen-Ella Springs Restaurant, nestled in the North Georgia Mountains, offers one of the finest dining experiences in the Southeast. 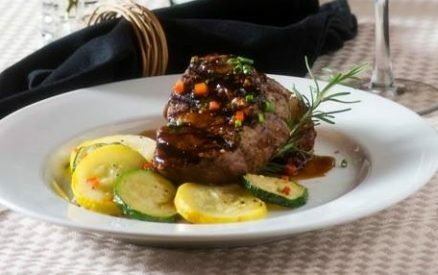 As one of the most acclaimed Clarkesville, Georgia restaurants, the Glen-Ella Springs Restaurant serves award-winning cuisine in a rustic yet elegant atmosphere. 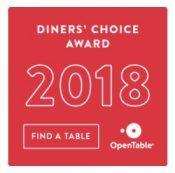 The restaurant has been recognized as one of the Top Dining Destinations in the state of Georgia, and consistently receives the Diner's Choice Award from OpenTable. 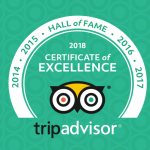 In addition to receiving numerous formal accolades, our restaurant has long been a North Georgia favorite for visitors and locals alike. Guests enjoy our many signature dishes such as sautéed jumbo shrimp with peppers and andouille sausage alongside our fried parmesan grit cake, or the herb-crusted New Zealand rack of lamb accompanied by jalapeño mint sauce, maple brown sugar sweet potatoes, and fresh green beans. Trout, beef tenderloin and chicken with Dijon cranberry sauce are also classic menu items. 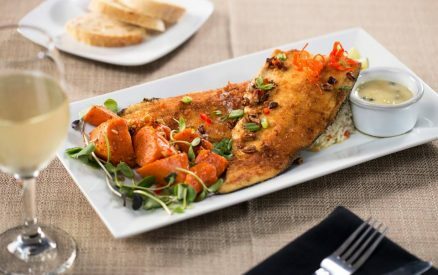 Our delicious nightly specials are typically seafood-inspired. Special note: Reservations are suggested. Call (706) 754-7295 or visit www.OpenTable.com. Our restaurant is typically open Tuesday through Saturday between April and December. There are, however, times when we may close for a wedding or other private event. Between January and March, the restaurant is open Wednesday through Saturday. In addition to our regular service hours, the restaurant is open on Thanksgiving Day, New Year's Eve, and Valentine's Day. Since these occasions tend to book quickly, we recommend making your reservation as early as possible. A private dining room is available to groups of up to 35 people. The Glen-Ella Springs Restaurant offers plenty of flexible menu options for your next big event. Please contact us for specific menu options! Facility fee or minimum food charges may apply. A dinner basket is available by special order for guests arriving Sunday or Monday who prefer not to go off property for their evening meal. Click here for more information about our diverse selection of add-ons! We also offer on-site catering services for your wedding reception, rehearsal dinner, weekend retreat, or family gathering. The possibilities are endless! After dinner, stay in one of our gorgeous accommodations! We can't wait to treat you to an amazing meal and a soft, cozy bed.